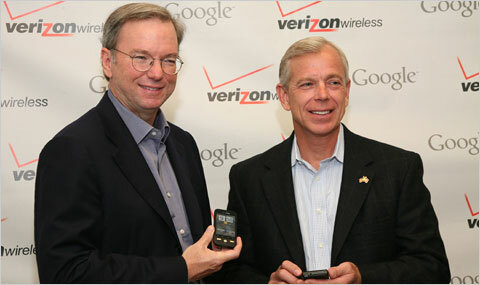 Verizon’s CEO Lowell McAdam presides over the nation’s largest wireless provider and one of the fastest wireline broadband networks in the U.S. In the last few days he’s perfectly exemplified the type of ISP thinking that we’re likely to see now that the FCC has capitulated on the concept of network neutrality and regulating ISPs like utilities. Earlier this week over at The Verge, Nilay Patel wrote that “The internet is fucked,” but a less inflammatory way of phrasing it is that the internet is changing. For years we have been entertained by and built companies on an internet whose core values involved consistently lowering the cost of doing business through continual innovation, brutal competition for users and a sense that while openness might lower margins, it increased the overall economic opportunity. Web companies from Amazon to Facebook designed businesses that prided themselves on their data, their network effects and their ability to cut costs to the bone by designing their own hardware, building their own software or optimizing around other platforms and focusing on a more strategic part of their business. These businesses tend to operate in a relentlessly competitive environment where the switching costs for consumers isn’t terribly high (that’s not to say that these companies don’t embrace network effects or other strategies to raise those switching costs). But since 2005 they’ve been reminded again and again that all of this was playing out on someone else’s investment. Ever since Ed Whitacre (the former CEO of AT&T) famously told BusinessWeek that companies were getting rich off his pipes (and likely before) the internet service providers have been waging a subtle and constant war on the original internet ethos. Their idea is to turn it into what I think of as the telco model of the internet — one where the end user buys the service, but the company sending traffic pays a bit too. In this model bandwidth isn’t an abundant resource, but a metered one. In short, one that matches the values of the incumbent ISPs as opposed to the web. The values of the incumbent telcos and cable providers are very different from Silicon Valley’s. These are local monopolies, snug in their geographic area and protected by multibillion investments in fiber and copper wire made over decades. Their core goals are consistency and making as much money as possible off the investment they made in their networks. This means they are slow to upgrade services, meaning network speeds lag far behind the boosts we’ve seen in storage and computer processing. The more people use the service, the sooner you have to dig up the streets again or invest more in electronics to upgrade. And like Ed Whitacre before him, Verizon’s CEO Lowell McAdam this week showcased exactly this sort of thinking across three different statements. Guys, here’s a tour of the telco internet that’s heading your way. I think the most important concept of net neutrality is that ISPs shouldn’t discriminate against the traffic flowing across their networks. Never do proponents of network neutrality discuss paying more for heavy usage. But thanks to Verizon’s lawsuit against the FCC, network neutrality is dead anyway; so why not let the CEO of the company that killed it rewrite the definition? What’s more disconcerting here is the idea that heavy users of the internet should pay more. It runs counter to the Silicon Valley culture symbolized by Google or even Intel, where you push costs down to drive adoption and use of your services, because the more you can scale, the greater your profits. Folks might argue this isn’t true on telecommunications networks, but with fiber capacity it’s becoming more so. Once a network is upgraded to fiber, it means that you can boost capacity by swapping out line cards and switches in the core and edge gear — a relatively cheap upgrade compared to digging up the ground. But this is a hard mindset shift for an industry that thinks in decades-long asset-depreciation cycles. 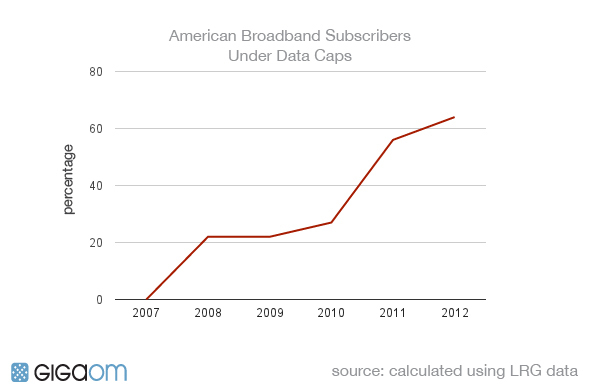 Broadband caps have grown to cover more Americans. They often come with meters. So instead of enticing people to use more broadband with all-you-can-eat plans, the telco mindset is to implement caps or boost rates for heavy users, ultimately influencing people to use less bandwidth and fewer services. Today’s heavy users are typically tomorrow’s normal users, so preventing them from becoming heavy users with caps and higher prices seems like an awesome way to keep the web stuck in today’s status quo. Hope you like Facebook and other apps that are popular today. When he shared the above statement, McAdam was talking on CNBC Monday about the Netflix-Comcast peering agreement. While paid peering has been a feature of the internet for the last two decades, the agreements have historically been struck between last mile (AT&T, Comcast) and middle mile companies (Level 3, Telia). As more of the large content companies like Netflix, Google and Amazon pay up and directly with ISPs, there’s a worry that we’re moving to the settlement model of the telco marketplace, where the sender also pays for sending traffic over the network. This is good for ISPs, because in addition to the advantage they have as a local monopoly or duopoly provider of an essential service, they also now get to take a cut of the success of those who build services that use their pipes without taking the risks that the Silicon Valley companies do. Why innovate yourself if you can simply take a cut of the proceeds raised by successful examples of that innovation? This wouldn’t be problematic if the market for broadband were more competitive. Nothing crystallized the telco mindset better than this quote given to CNBC. This is the CEO of a network company asking some other company to come up with reasons to upgrade or boost the value of that network. What if Intel had decided to focus only on making chips, instead of starting a venture capital arm that helps find new ways to use those chips? Or worse, what if Intel had decided that the 486 DX was good enough, and that if Microsoft wanted to do something cool, it would have to build it first before Intel would be willing to commit the processing power? McAdam is seemingly unaware or willfully ignoring the contradiction inherent in charging users more for using a lot of broadband while trying to build demand for faster services. While Google is trying to push the envelope on new services and faster networks, the companies that own most of these networks are concerned with keeping the envelope full of cash. Again, this behavior makes sense given that telcos have a duopoly situation in most parts of the country. There’s no need to focus on making a service better, or to drive demand for a product, when you’re the only company that sells that product; especially if greater demand has historically meant that you need to then lay out more money for spectrum or digging new trenches. Culture is crucial to understanding people, corporations and even social movements. What’s happening here is the culture that has influenced the internet is shifting. I’m not sure we’re going to like where this new culture leads us. Well this is backward said Mr. McAdam. The Verizon customer is supposed to get for example 75 mbps on their download side of the connection. That is the agreement with the ISP customer. So, where’s the speeds? Even with wireless, there is a 4G speed of say 10 mbps. Where’s the speeds when connecting to a website such as Netflix. You don’t cap speeds on Mircrosoft downloads so why just Netflix? Problem is, you gave unlimited data with limited stream rates yet you don’t want to support that with all of your customers. Are you saying Verizon never could have supported all of those FIOS connections if they were all to be used at the same time? Isn’t that fraud? One useful thing might be marketing internet with minimum bit rates rather than peak bit rates. Internet speeds are at present, are completely misleading to the consumer. The telco’s monopolies need to be broken. The French model is IMHO the best. Acknowledge that economies of scale and network effects will yield few large entities. Let them grow, it’s good. Just make sure that they do not control the last mile to the customer and that at the interchange where the last mile arrives there are at least two of them competing for the customer’s business. customer is both: the end user as well as the internet business on the other end. Once again, Verizon does not cap, limit, or meter consumption on FiOS and never has. So the article can’t really criticize Verizon for violating the supposed Silicon Valley value of unlimited consumption of other people’s content via other people’s networks. In the overall scheme of things, it seems to me that Verizon is about as close to the supposed Silicon Valley ideal as any ISP has ever been. 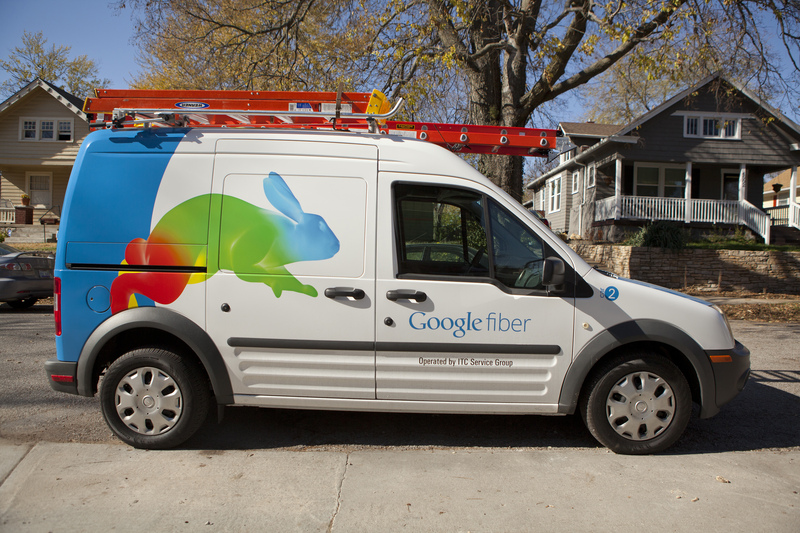 They pioneered the xPON technology that Google Fiber uses, they massively invested in replacing copper with fiber, and they’ve always offered an uncapped, lightly managed, unmetered service. They were also the world’s first mobile carrier to roll out the IP-based LTE technology at scale. it seems to me that if Verizon’s business practices don’t make you happy there is not a business practice in the world that will. If those who swear allegiance to the supposed values of Silicon Valley don’t like the way Verizon and the other ISPs who invest heavily in scalable networks to serve vast areas with ever-increasing speeds and capacities do business they are free to offer a competitive service. In my experience, Silicon Valley’s core value is high return on investment. And yes, the carriers aren’t good at that, but that’s the nature of competitive markets. Verizon is putting caps and limiting data for those customers. I have Fios, I have Netflix. Fios works just fine any place else except for when using Netflix. Yes, Netflix is slow but I can open another browser tab to Microsoft and download a service pack at 80 mbps while Netflix is limited to 1.5 mbps during peak Netflix viewing times. And…in the past, when data ports were in need of upgrades all the ISP upgraded because that is what made ISP customers. Remember the days of internet ISP “start ups” who the courts said the telcos had to make space for them in the local central offices because the telcos wouldn’t allow them to? This is no different. Apparently, Verizon has enough customers and just simply says, we’re going to create a tiered rate schedule now, according to McAdam, just like power companies, water, cable tv etc. The way things work today, the larger the company, the worst it is for the little guy. No competition other than maybe one or two other ISP’s in the area is not enough competition to keep prices at bay and technology at optimum. I want unlimited bandwidth for free. It should be my constitutional right just like access to fresh water.When the constitution was written there was no Internet. The person who actually coined the term had the following to say on the topic. McAdams thinking (and Mr Bennets) deeply disturbs me- and it makes me want to start raising political awareness for the need to regulate internet providers. Time to start calling my congressmen and reps and get everyone I know to! We won’t let you greedy $&$&’s ruin the net for us! The root of the problem is that the broadband market is not competitive, a failure of the government (regulations) akin to that of the 2008 financial crash. And McAdams thinking is shockingly old-school, total misunderstanding the workings of the internet economy. I think your missing the point. We need better competition to drive prices down. We also need the internet to be a utility so everyone can have better access. Verizon has no caps or limits on FiOS based on consumption levels. It seems like that detail might be relevant to the post in come way, but mere facts may not be as important as the mind-reading exercise. Bottom line: Our representatives in Congress are technically illiterate and are therefore easy prey for the Telco/ISP lobbyists. That won’t change anytime soon, so we need the big guys in the tech industry, not just Google, to balance that out. We also need Netflix, Youtube, et al to use their power while they still can. For example, if Netflix added a ‘Verizon tax’ to its monthly fee for Verizon customers only, to cover the double-dipping that Verizon is starting, Verizon customers would riot. That would be the best solution…Verizon Abuse Tax. Just like a gas hike fee on a FedEx shipment. Um – there’s a contradiction in trying to drive users into your highest cost products? With monopoly problem noted by others, Verizon gains whenever new services launch that are “must-haves” regardless of their bandwidth costs. This is the same as Verizon FiOS encouraging HBO to develop more awesome programming while at the same time raising the cost of premium channels. You’re sort of missing the point. FIOS already is relatively pricey. There’s no shame in upselling to premium services as long as in this case the consumer won’t find a better service for less somewhere else. Charging by the bit, aka data caps, is a practice the local monopolies here in Canada have been doing since 2007. All it’s done is drive subscribers away from Bell and toward their competing resellers such as TekSavvy because their service is cheaper and has the prace of mind that unlimited data offers, all while being the same, or often times better quality than the same service from Bell. Excuse me, but that’s the very thing you complain about the most and you’re clearly an advocate for net neutrality, the wish for the Internet to be regulated as if it were a TDM network. The Internet is not neutral, it has never been neutral, and you wouldn’t like it if it were neutral. It’s hard to tell what Stacey thinks nowadays, except that whatever an infrastructure incumbent says must be a declaration of diabolical evil. No other interpretation is possible. It’s a religious thing. Om really hates the phone companies, doesn’t he? The more get to know them, the more there is to dislike. It’s time for Congress and the President to step up and…..wait, they don’t do that anymore, at least not until the cattle prods have been sufficiently sharpened. All of these options would likely be solved by competition. It’s simply astounding that the government will spend billions of dollars spying on it’s own citizens but they won’t put up anywhere near that amount of money to incentivize fiber to the home. We really need at least four different providers at every home to have the kind of competition that drives innovation. Now you’re getting the motor rolling Sam the Man!